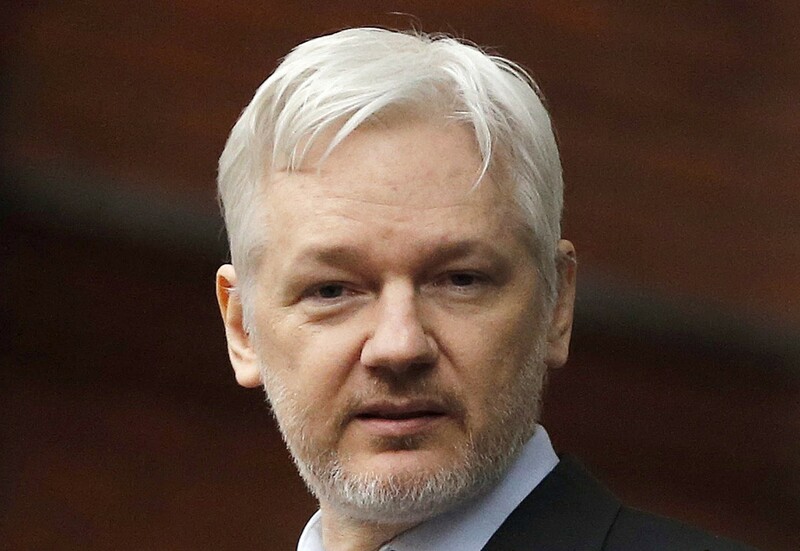 According to a statement from London's Metropolitan Police Service (MPS), the Ecuadorian government withdrew asylum for Assange, who is currently being held at a police station in the UK’s capital and will appear before Westminster Magistrates' Court "as soon as is possible," where he is being charged with breaching the terms of his bail conditions. "The MPS had a duty to execute the warrant, on behalf of Westminster Magistrates' Court, and was invited into the embassy by the Ambassador, following the Ecuadorian government's withdrawal of asylum," it added. Assange has long maintained that if he were ever forced to give himself up to authorities he would be extradited to the US and face charges related to WikiLeaks’s publishing of thousands of American military and diplomatic cables. Last year, it was reported that protecting Assange was costing Ecuador millions and that an international security team secretly filmed and recorded all his activity, including Assange’s daily routines and his interactions with visitors and staff. It was also claimed he compromised the communications system within the embassy and had his own satellite internet access, allowing him to intercept staff communications, something WikiLeaks strongly denies. Back in 2016, WikiLeaks published thousands of Democratic National Committee documents from Hillary Clinton's campaign chairman, John Podesta. It’s believed they were delivered to Assange by Russian intelligence operatives, but he has constantly denied the leaks had any links to Russia. Update 10am: Hours after Julian Assange was removed from the Ecuadorian embassy, the U.S. Department of Justice has charged Assange with "conspiracy to commit computer intrusion for agreeing to break a password to a classified U.S. government computer." The DOJ plans to extradite to the United States under the U.S./UK Extradition Treaty, in regards to Assange's alleged involvement with Chelsea Manning in aiding him to crack a Department of Defense password, so that Manning could leak classified documents to Wikileaks. There is a maximum penalty of five years in prison for the current charge, however prosecutors have the option to add more charges at a later date. Assange and the Russian hacker's hand in the 2016 US Election will absolutely be punished. drjekelmrhyde, ghostf1re, Evernessince and 3 others like this. LOL. Trump is still president though. I think he was arrested, because Ecuador rescinded his Citizenship, so he had no right to seek political asylum there anymore. mcborge and p51d007 like this. Boy, he's kind of turned into a "Howard Hughes" type with that beard and everything. Did anyone check to see if he had klenex boxes for shoes? (yeah, I'm THAT old). Lew Zealand, drjekelmrhyde, ghostf1re and 4 others like this. JaredTheDragon and Abraham M like this. Those charges were dropped weren't they? Jimster480 and xxLCxx like this. Till we formally vote him out in 2020. Abraham M, wiyosaya and learninmypc like this. Will the Trump derangment syndrom stop after that? As long as he's in office Trump Derangement Syndrome will continue. As long as he's in office: there will be no "coming together as Americans" rhetoric. He has sworn enemies and he will continue to be harassed till the bitter end. Abraham M and wiyosaya like this. Well, no, it is NOT believed that they were delivered to Assange by Russian intelligence operatives. That's the Democratic party narrative, for which there is no proof at all. I don't know anyone who puts the slightest credibility in that fairy tale. Assange has always denied any Russian connection. Assange didn't leak the information. He posted an encrypted file on the Wikileaks website, and gave the key to major newspapers, which decided what to release. The Guardian in England, The New York Times, Le Monde in France, Der Spiegel in Germany and El Pais in Spain. They are responsible, not Assange. Assange claims to have absolute proof the Russians were not involved. He offered to give it to Trump in exchange for a pardon, but Trump never took him up on it, which indicates that Trump never was interested in defusing the Mueller investigation. I personally believe Trump was in on the Mueller investigation, it allowed him to avoid delivering on his promises to his constituents. It's simply astounding that nobody discusses Israeli influence on the American election. It's well known that over 50% of all Democratic party donations, and 25% of Republican donations come from Israeli sources. The two largest donors to US politics are Sheldon Adelman and Haim Saban, both devout Israelis. The most powerful lobby in US politics, bar none, is AIPAC. Their entire reason for existence is to lobby for Israeli interests. They typically have the US President, as well as much of Congress attend their annual meetings. In contrast, there are NO major Russian donors to US politics. Russian influence is almost non-exist in the US, other than RT. Mueller spent two years trying to find Russian influence and came up with nothing. Assange was granted political asylum to protect him from state persecution (the US). It's the same exact rationale used by literally millions of illegal immigrants coming into the US. Except in Assange's case it's a valid reason. Sweden's role has been truly disgusting. They forced Assange to live in virtual prison for seven years, on an allegation that he didn't use a condom. England is similarly disgusting. m3tavision, Burty117, Knot Schure and 5 others like this. m3tavision, xxLCxx, Abraham M and 3 others like this. That's what I was thinking. Either Hughes or Charles Manson. He's an eccentric, for sure. p51d007, Abraham M, wiyosaya and 1 other person like this. Isn't the definition of leaking sharing something that is meant to be secret to other people out of that circle? I don't see how Assange can be considered innocent at all. The ethical consequences of what Assange and the newspapers did are not mutually exclusive. If a person picks up the key to someone's home and places the key in a den of thieves and a thief robs the home, both of them are at fault. Assange knew what he was doing for sure, no? I don't think I have any political knowledge to discuss your other talking points (very interesting comment on the Israeli portion). Assange Arrested for Telling the Truth! In contrast, there are NO major Russian donors to US politics. Maybe not directly, however, there are known Russian contributions to the NRA. Disregarding source, there is enough stink for both parties to share. Not until the WH is decontaminated. Abraham M and Panda218 like this. About time this Charlatan was arrested. I love that Wikileaks employees (?) have to sign an NDA! I’m afraid it might be a permanent affliction for some. Only if you consider the dozens of lawsuits against his "derangement" then yes Trump will be bogged down far after he is removed from office. All the ethics violation investigations likely won't rap up until 4 years after either. The British are not too good at thinking these days. Haven't you been following the Brexit fiasco? Knot Schure, xxLCxx and JaredTheDragon like this. All the ethics violation investigations likely won't rap up until 4 years after either. Yeah... our votes ah? Hillary had a lot more votes than trump and he still the president. You just might be confusing "balls" with "stupidity". wiyosaya and Evernessince like this.